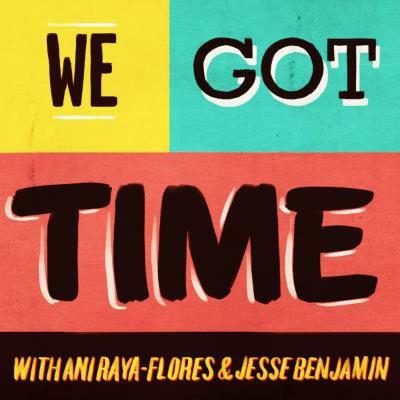 We Got Time is a storytelling/interview podcast hosted by Jesse Benjamin and Ani Raya-Flores. Here's the basic idea: everyone's got one long story they love to tell about themselves, but no one will listen to. We will, because we got time! Twice a month, a guest will come on and tell their long, weird story, all the while Jesse and Ani interrupt them with questions, tangents and comments. Always fun, always strange, and never too long. Click the image to go to the iTunes page and subscribe.